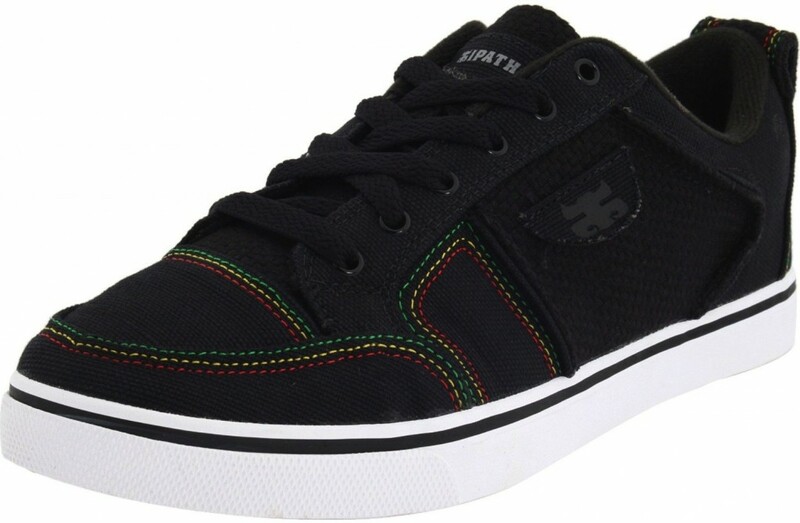 The Wharf low is what I surmise to be IPATH’s dock shoe. Full Hemp upper, rasta stitching and a Vulcanized sole. Really dig that the toe has some extra buffer hemp to extend the skate time a bit. What is a dock/boat shoe anyhow? Is it a shoe that has that weird lacing on the side or low cut heals? There are some extra flappy logos on the side, are those swimming floaties so the shoe doesn’t drown? This entry was posted in Shoes. Bookmark the permalink. Flatbar – Vegan energy bar for skaters!